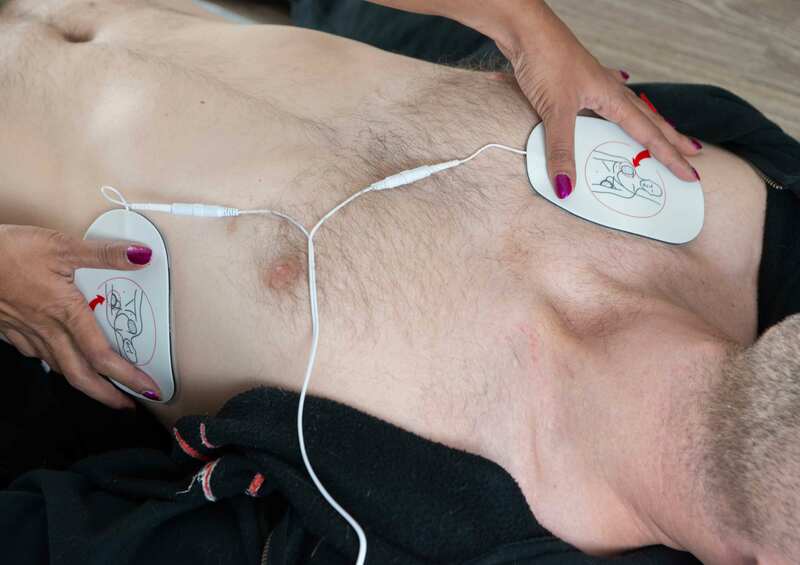 Do you need to be trained to use a defibrillator? You are playing football with your friend on your local community footy oval when your friend suddenly collapses, they are unconscious, not breathing so you start CPR. Your other friend runs and grabs the defibrillator from the community center and brings it to you. Neither of you know how to use a defib. Are you allowed to use a defibrillator if you haven’t been trained to? If you answered Option 1: Yes, anyone can use a defibrillator then you would be correct! Automated External Defibrillators also known as AED’s are portable defibrillator devices used to diagnose life threatening heart rhythms and attempt to fix them through conducting an electrical shock if required. AED’s became a game changer back in the 1960’s when it was developed by a very intelligent man by the name of Frank Pantridge in Belfast, Northern Ireland. 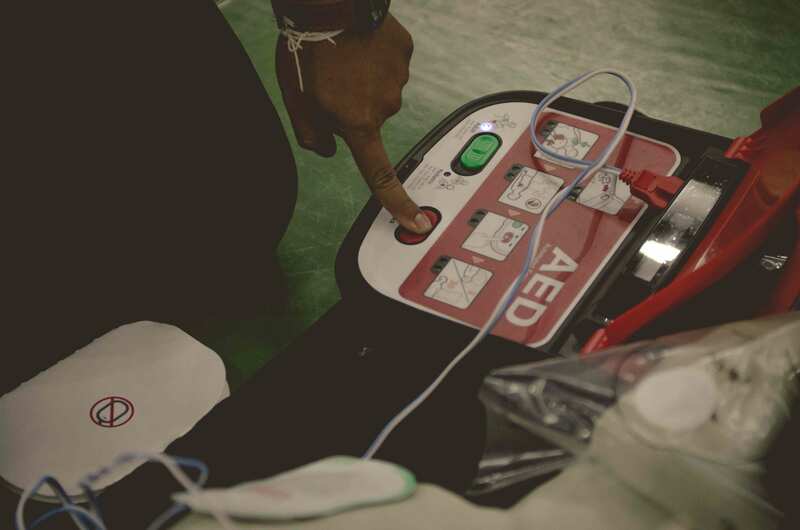 AED’s are designed to be used by anyone, no training necessary. Each AED has audio and visual prompts indicating what to do next and will continue to repeat until the task has been completed. When using an AED it is important to follow it’s instructions and try not to jump ahead as you may miss an important step. Different brands of AED’s look slightly different but they all have an indicator light, a sticker or window to view the pad expiry date and two buttons. Each AED manufacturer will specify how often the unit should be checked or if it performs its own self check, as well as when the batteries should be replaced. On each device their is usually an indicator light to identify if the AED has battery power. The pads are marked with an expiry date set by the manufacturer, as part of the device checks the pads should also be checked to ensure they remain within date and replaced as required. There are 2 buttons on the front of the AED (sometimes 3 if there is a child option). The first is very important, it is the ON button. Pressing this will start the defibs prompts and guide you through the set up and defibrillation process. Prompt 1. Ensure clothing is removed from the casualty and you have a dry, bare chest to place the pads on. Prompt 2. Remove pads from their casing and placing them on the chest as per the picture on the pad. Prompt 3. Stand clear and not touch the patient while the machine analyses the casualties heart rhythm. Prompt 4. Instruct you whether a shock is required. If it is, the shock button will light up. If it is not required then the AED will advise you that a shock is not required and to continue CPR. 4a. If you are operating the AED and will be pushing the shock button then it is your responsibility to make sure that no one is touching the casualty, everyone is “ALL CLEAR”. Announce that you are “DELIVERING A SHOCK, EVERYONE STAND CLEAR” in a loud voice. 4b. Only push the shock button when you are certain no one is touching the casualty. Prompt 6. After the shock has been delivered the AED will advise you to restart compressions, some provide a metronome beat to push at the correct rate, some instruct when to administer breaths and all AEDs have a timer and will instruct you when to stand clear for the next rhythm analysis (Prompt 3 onwards) every 2 minutes. Continue following the prompts until emergency services arrive or the casualty regains consciousness. Take home for the week is: Please don’t feel scared to use an Automated External Defibrillator. The AED will tell you all the steps to placing the pads, listen to the machine. The machine is designed to instruct anyone how to use it and will not advise a shock without assessing if it is required. If you would like to get more comfortable using an AED why not come to one of my public CPR classes this month! Some training providers only show their students how an defibrillator works. At Resus Ready we believe in hands on training, providing scenarios where you use a trainer AED to follow the prompts and actually place pads and shock if required on a manikin. Learn in a safe environment so you know what to do in an emergency. I have CPR training special running for all of my Resus Ready Trivia fans this month! The next class is this Sunday at 8.30am at Hawthorn Library. Use the promo code TRIVIA to attend for only $50. See below for more dates and details. To reward all of my trivia voters and readers I would like to offer you all an exclusive deal. 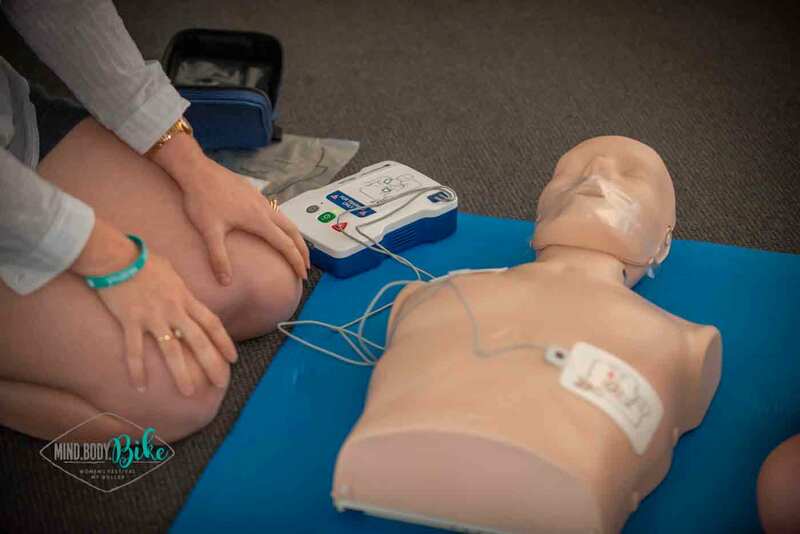 Use the promo code TRIVIA to attend any of the HLTAID001 Provide Cardiopulmonary Resuscitation classes run by Resus Ready at Hawthorn Library during the month of March for only $50 per person. This is only for the month of March, prices return to normal in April so don't miss out. If you were ever curious about CPR and want to learn how to use an automated external defibrillator now is the time! Click here for training dates, more information and to book into a class, seats are limited so book in early. Resus Ready First Aid Training operates in partnership with Allens Training Pty Ltd RTO #90909 to provide Nationally Recoginised certificates.